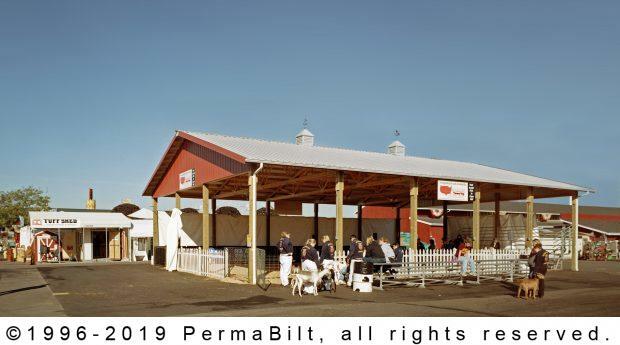 And just like the Washington State fairgrounds, more and more commercial and specialty building purchasers are choosing post frame construction as the method of choice for their light industrial building needs. The wide range of building models and flexible design features, coupled with low costs and safety benefits, make post frame buildings a great option for a myriad of business types. Some uses include maintenance buildings for utility companies, cities, and school districts, yoga studios, manufacturing storage, administrative buildings and of course, fairground arenas. We not only are a participant in the Washington State Spring and Summer Fairs but also appreciate our long working relationship with them. Next time you are the Fair, check out one of our buildings on the Fairgrounds!